Tweet.ng updated (2:37 GMT) March 15, 2016. CNN: N orth Korean leader Kim Jong Un has ordered tests of a nuclear warhead in the “nearest future,” state-run news agency KCNA said Tuesday. According to KCNA, the proposed tests are the result of years of development and “diligent research” into heat-resistant materials and technology. 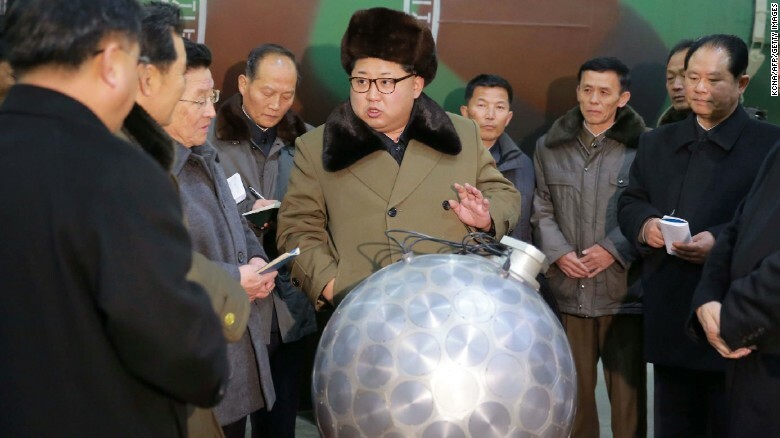 Kim Jong Un guided an “environmental simulation for re-entry by the warhead tip,” the report said. South Korean President, Park Geun-Hye, warned North Korea should be ready to accept the consequences if it did not curb its nuclear ambitions. “North Korea will walk the path of self-destruction if it does not change,” Park said at a cabinet meeting. South Korea’s Defense Ministry spokesman, Moon Sang-kyun, also questioned the authenticity of the claims. “It’s North Korea’s one-way statement. From our analysis on various sources, it has not achieved re-entry technology,” he said at a press briefing.